Make things go kablooey retro-style with Prototype II. 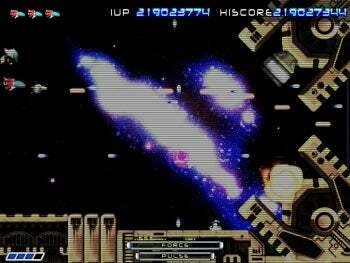 Prototype II replicates the feel of classic side-scrollers like R-Type perfectly. Visuals are polished to a high shine, with smooth animation and colorful, crisply rendered sprites. Traditional strategies like building up a primary weapon charge to unleash high-powered attacks, or using your probes as shields remain relevant, but new weapons and environments add much needed variety to the formula. The things you're missing you may not remember so fondly, like the original's needlessly punishing early levels and the low-powered, variety-bereft weapon upgrades.